The WCPS Fathering Project Schools Group was formed in November 2017. The Willandra Primary School Dads Group is welcoming new members. The Wollongong Public School Dads Group was officially established in 2018 and is welcoming new members. 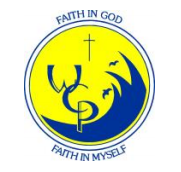 The Wollongong West Public School Dads Group was officially established in 2018 and is welcoming new members. Woodvale Primary School Dads Group is welcoming new members. The Yarrawarrah Public School Champion Dads' Group (Yarra Dads) commenced in March 2016. Activities include a Dads and Kids Footy Night, a Dads' Craft Beer evening and a Dads and Daughters Hair Braiding workshop.